With the help of the Penn State Small Business Development Center, brothers Dan and Ryan Yosua have launched their own company and a pair of smartphone apps. Dan, a 2013 Penn State graduate, and Ryan, a rising senior in the College of IST, first entered the world of mobile gaming when they launched YosuaTreeGames in 2013 and produced their first app — eVubble Lite — that same year. Ryan primarily handles the programming and development side of things, while Dan deals with the visual design and business aspects, along with the company’s social media presence. The Penn State SBDC is a no-cost resource for small businesses or those looking to start their own business in Centre or Mifflin County. With the launch of their latest app, the Yosua brothers looked to the SBDC for marketing and other advice, and have found the resource to be a valuable one. Though it seems they’ve cornered the market when it comes to chasing one bubble around on your phone with another bubble, the Yosua brothers are determined to keep working and to take their company to the next level. Aiding the Yousa brothers’ mission is the David Rusenko Entrepreneur-in-Residence Scholarship Ryan was recently awarded. The prestigious award is granted to a junior or senior in the College of IST who has experience in entrepreneurship and includes $10,000, six credits, and a faculty adviser to offer help and guidance. Ryan hopes to use the scholarship to create a game that is even more ambitious than eVubble. eVubble and eVubble Lite are available for both iPhone and Android users, if you’re in the market for the next addicting smartphone game that enjoyably frustrates you to no end — but you can’t seem to put it down. Lexi Shimkonis is a news editor for Onward State. 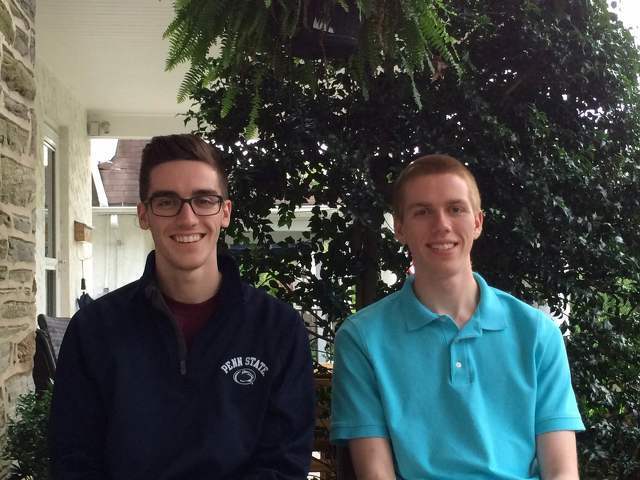 The Penn State sophomore is studying civil engineering. She calls Spring City, Pa. her home. The State College Area School District discovered a small sinkhole in Memorial field on Thursday morning. 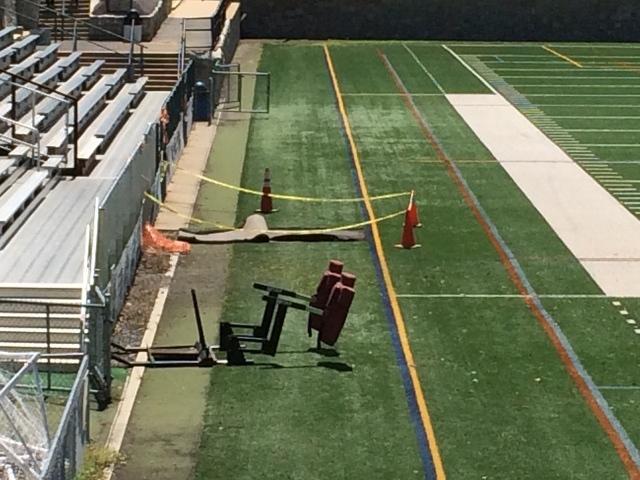 The hole, which is about four feet wide and four feet deep, was caused by a broken stormwater pipe joint beneath the surface of the football field, according to a SCASD news release.